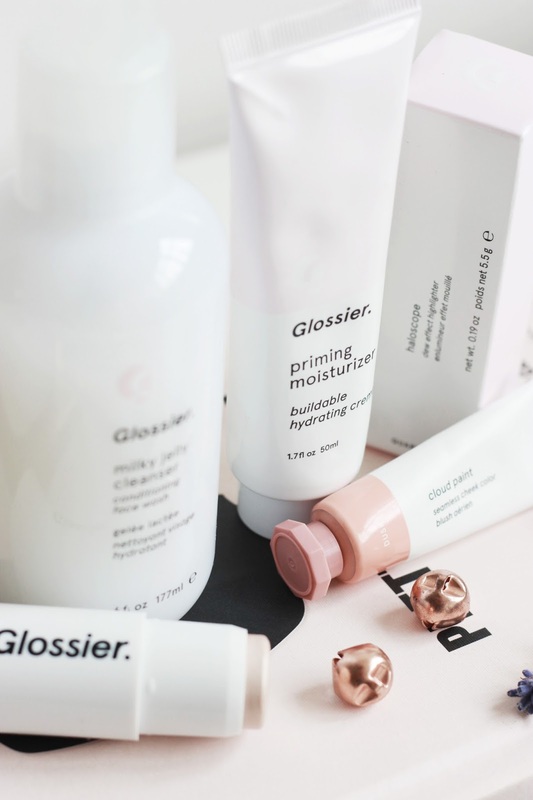 After the news that Glossier was finally coming to the UK, I made it my mission to track down some of their most coveted items to add to my collection. 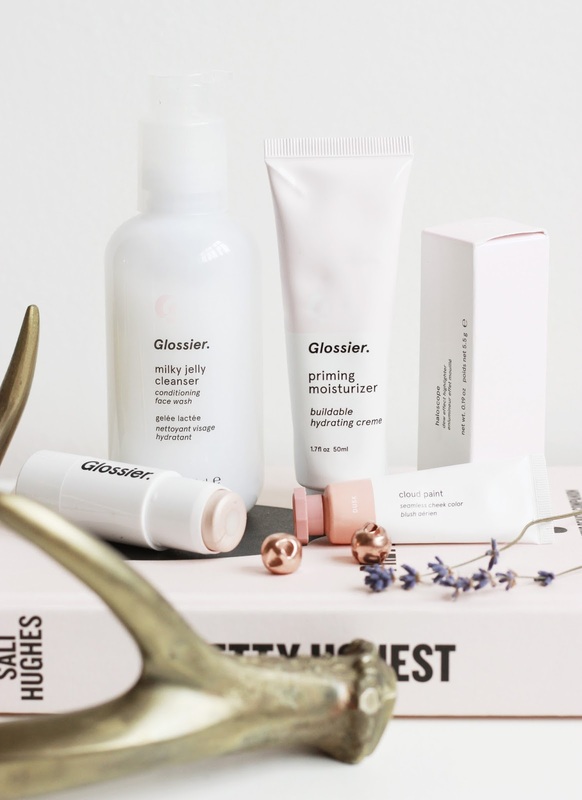 I knew that I wanted to try some of their cult favourites, so today I am sharing with you my Glossier haul. First up is the Milky Jelly Cleanser, a purchase I made on a whim, but one I definitely don't regret. With a slight rose scent and delicate formula, it's gentle on my skin whilst still being effective at removing my makeup and making my skin feel super clean. Despite having a creamy-gel formula, this doesn't lather up at all; instead it feels similar to more of a cleansing balm when massaged in. Although it's not super -ourishing on my dehydrated skin, you can't fault how gentle it feels on your eyes. I can't wait to give this a proper try out and come back to you with with the results. If there's one product you need to try from this haul it's the Dusk Cloud Paint, a cream blush that has a lightweight, buildable formula that is super easy to use, is flattering on the cheeks and gives off the most perfect peachy bronzed hue. You could price this at twice the price and I still think I'd repurchase it, even though I'm pretty sure that this tub (despite being quite tiny on appearance) will last me a very long time. This paired with an illuminating base is perfect for an easy, natural dewy finish. When I first picked the Priming Moisturiser up, I wasn't too sure if I would like it as I've heard others say that it's a little too light for dehydrated skin, but as soon as I applied it, I knew it was love. There hasn't been a day since I got it that I haven't applied it underneath my makeup because the way it makes my skin look is amazing. 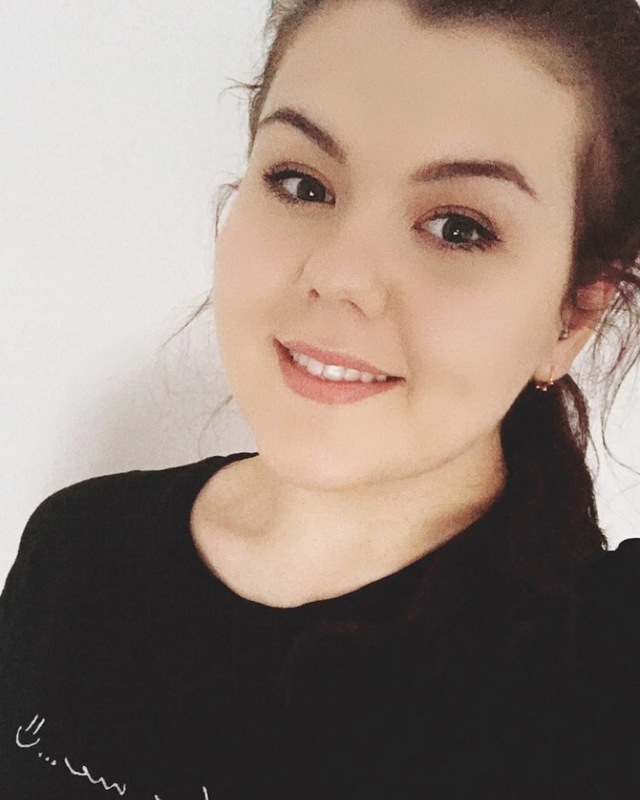 My complexion appears calm and dewier, creating the perfect moisturised base for my makeup that glows through your foundation and actually makes a difference to the way my skin looks. The Haloscope Quartz Face Highlighter purchase was completely influenced by other bloggers and their love for this glow inducing offering. It's a natural highlighter unlike any other one in my collection and it works well with any cream products. The only way I could describe it is as a "sweaty look" highlighter that adds the dreamiest, natural glow. I was worried as it doesn't dry down like other cream products, but on me, it doesn't stay sticky so I can't complain. Although I can see why some wouldn't like it, I'm looking forward to wearing this over the upcoming weeks. 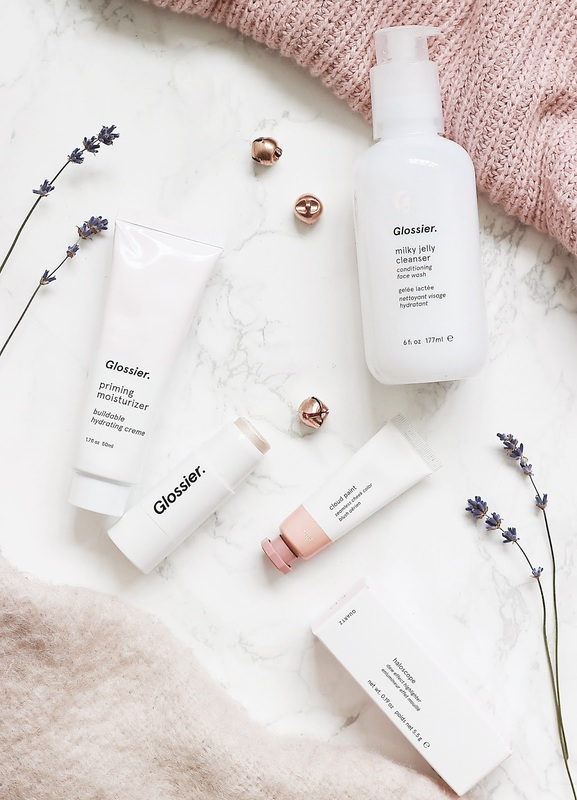 Have you tried Glossier? What would you recommend I try next?